The University of Law is the UK's longest-established specialist provider of legal education. In fact, we've trained more lawyers than anyone else. We can trace our origins to 1876 with the formation of leading tutorial firm Gibson & Weldon. With a rich heritage and a reputation for innovation and contemporary teaching practices, we continuously focus on developing the best legal minds. What really sets us apart from other universities is the guiding principle that the current and future lawyers we teach should only ever learn in a realistic, professional and contemporary context. All of our courses â€“ from our undergraduate law degrees to our market-leading postgraduate courses and professional development programmes â€“ are designed with a unique, varied and innovative learning approach thatâ€™s proven to deliver self-reliant lawyers who can compete in the fast-changing world of legal services. Our track record of excellence in learning and development has helped us establish worldwide connections with the legal services market. This is why many leading global law firms work exclusively with us to develop their people, and why legal employers of all types want to meet our students. Itâ€™s also why law schools and professional bodies around the world choose to enter into strategic alliances with us. The University of Law is an internationally recognised expert in the field of law. Rather than focusing on academic research, our aim is to be thought leaders in the issues that matter to the legal profession and the next generation of practising lawyers. All of our tutors are qualified solicitors, barristers or judges, and all have extensive practical experience which they are able to pass onto our students. We facilitate this process with high levels of student-to-tutor contact time and small class sizes - one of the reasons that many law firms insist their trainees study with us. We focus exclusively on practice-based training and give students access to our market-leading law careers service and legal vacancy database as soon as they accept a place with us. Students also benefit from our pioneering and award-winning pro bono programmes, which allow them to gain valuable work experience by helping real clients from the local community. This combination means our graduates are in a unique position when it comes to finding employment. 97% of our full-time 2014 LPC students had secured employment within nine months of graduation (based on known destinations). We take our responsibility to widen access to the legal profession seriously, and offer a wide range of scholarships to help talented University of Law students fund their legal training and achieve their career ambitions. 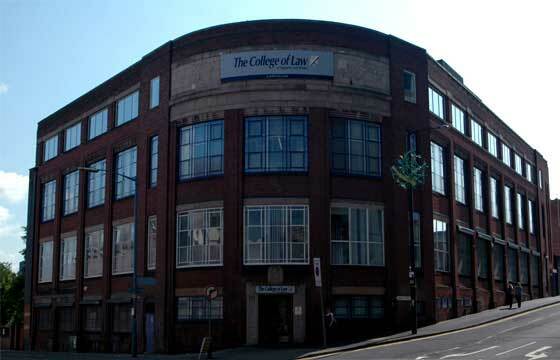 The University of Law has eight centres in seven cities around the UK. All are close to thriving commercial centres, leading law firms and transport links. Each centre is a modern, well-equipped professional law school and provides a comfortable and stimulating learning environment. As you might expect from the leading professional law school, The University of Law has one of the most comprehensive scholarship schemes in legal education. With a Â£400,000 fund available across our undergraduate law courses and postgraduate law courses in the 2015/16 academic year, we have had more awards than ever before. Contact Edwise to know more about the Undergraduate and the Postgraduate Scholarships.